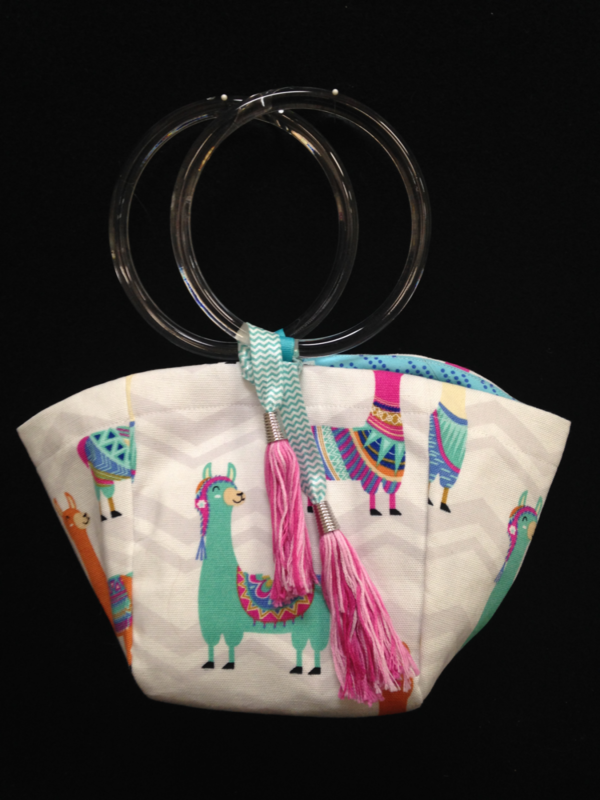 This handbag has a lot going for it: cute fabric, chic acrylic handles of your choice, lining, pockets, and tassels. Learn how to sew heavier weight fabric, add Velcro closures, and make tassels. As an added bonus, you will make a coin purse to carry in your handbag.